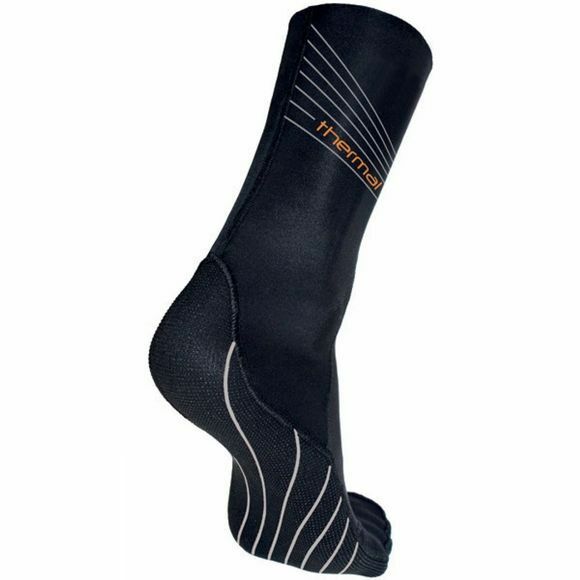 Zirconium liner at the foot reduces water absorption on these form fitting neoprene socks and creates an extra insulating layer. With increased length to reduce water entry. Textured bottom helps prevent injury to feet when walking or running on rocky surfaces. They come in handy on long transition runs too.